Spearheaded by meditation teacher Andy Puddicombe. This slickly designed app provides ten-minute meditation sessions, with the first ten days available free of charge. If you’ve never tried meditation, Andy’s easy banter and relatable instruction will make the practice more accessible. You might find that it takes you more than ten days to get through the first ten practices. This app offers a solid sampling of the basics of meditation, featuring a range of exercises at varying lengths (mindfulness meditation, loving-kindness meditation, the body scan practice), ideal for short practices at work and longer sessions at home. 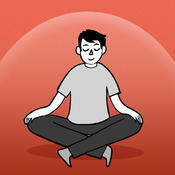 The look and feel of the app is very accessible, with plain-English explanations of what meditation is and how to do it. When you’re browsing the app, the practices don’t feel like homework so much as a nice foray into something a little different. Mindfulness Coach was designed to help Veterans, and Service members learn how to practice mindfulness, but can be used by anyone. Mindfulness means paying attention, on purpose, to whatever is going on in the present moment without passing judgment on it.Mindfulness Coach offers nine guided mindfulness exercises, each with both audio and self-guided versions; psychoeducation about the core concepts of mindfulness and the benefits of practice; a log for keeping track of mindfulness practice; and customizable reminders. 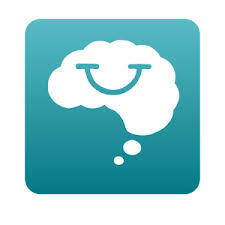 Smiling Mind is meditation made easy. A simple tool that helps put a smile on your mind anytime, anywhere and everyday. Smiling Mind is modern meditation for young people. It is a unique web and App-based program, designed to help bring balance to young lives. It is a not-for-profit initiative based on a process that provides a sense of clarity, calm and contentment. Optimism is a family of applications that focus on self-tracking as a tool for coping with mental illnesses including depression, bipolar disorder, anxiety, and PTSD. The app helps users detect patterns in their mood, creating a way to identify triggers and other things that affect their mental health. Users can create a customizable wellness plan to chart their coping mechanisms, and this can be updated as they come to have a deeper understanding of what they need to tackle their mental illness.